This is correct. But lots of the supporters of the idea of a stagnating airline industry ignore that fact that airline technology has actually advanced a lot in the last four decades in ways that do improve the travel experience by lowering the price of air travel. 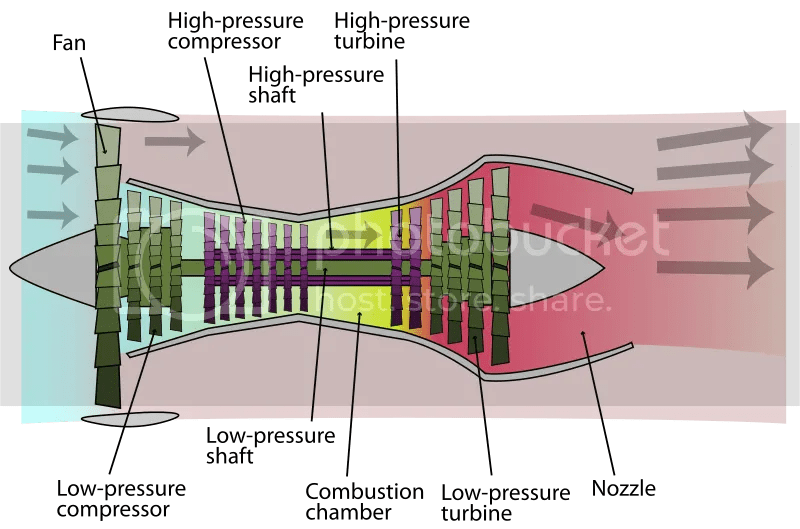 A modern airliner is powered by high-bypass turbofan engines, which are significantly more efficient than the low-bypass engines that powered early airlines and military jets. This technology only really came into its own in the 1960s, and is continually advancing: modern civil turbofans are amazingly efficient. This technology has had a large impact on the economics of the industry- one of the reasons the Soviet civil airliner industry was never able to successfully compete with American and European companies was the Soviets’ inability to develop high-bypass engines soon enough. The main lesson from this is that we should expect technology to advance towards greater economic returns, not absolute performance. In the 1960s it was taken as a given that future airliners would be supersonic, because the technology to build fast airliners was just around the corner. But just because the technology was available didn’t mean that their was any consumer demand for such fast airline flights- they would always be much more expensive than traditional flights, and most consumers didn’t value shaving hours off their flight time. The British and French didn’t realize this, and invested billions in the Concorde, which was only ever able to operate with government support. American companies wisely realized that the whole concept of a supersonic airliner didn’t make any economic sense and got out of the game early. Instead, airline engineers spent decades optimizing the performance that there was a demand for- efficiency- and made substantial gains. This also improves the overall social welfare of air travel by partially correcting the externalities of the airline business, namely fuel use and pollution. This isn’t typical- airlines, unlike lots of other polluting industries, have a large incentive to attempt to correct their own externalities because the main root of these costs, burning fuel, are internalized nicely in the industry and can’t be easily passed on to consumers. That, along with the deregulation Yglesias mentions, is responsible for a lot of the dramatic fall in airline ticket prices since the 1970s. More efficient airplanes are a lot less impressive than faster ones, but optimizing efficiency in response to market forces has a much bigger effect on human welfare. With the advances in technology, we see faster cars that are more fuel efficient. The difference with a plane is that it travels a greater distance with low and high pressure bombarding it constantly. I feel that if we can use the elements to further flights, but lowering costs and vastly shorting the amount of time in the sky, we can be able to be around the globe in few hours. With the advancement of technology, it is a hope that someday, air travel would be fast, cheap and efficient. That would be the goal for everybody, I think.